Asya Rolls obtained a bachelor of science in Life Sciences from the Technion and continued her graduate studies in Physical Chemistry in the same department. For her PhD research, Asya transitioned to neuroimmunology and joined the laboratories of Prof. Michal Schwartz from the Department of Neuroscience and Prof Ofer Lider from the Department of Immunology at the Weizmann Institute of Science, in Israel. As a graduate student, she focused on how the immune system controls the brain. Then, Asya moved for her postdoctoral training to Stanford University, where she worked in the laboratory of Prof. Luis de Lecea in collaboration with Prof. Craig Heller on sleep, which has a major homeostatic impact on the organism. 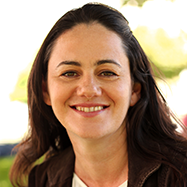 Now, as an independent researcher at the Medical school of the Technion (Israel Institute of Technology), Asya asks the complementary question: how does the brain regulate immunity? Common knowledge and extensive scientific evidence suggest that the brain affects the immune system. This relationship is manifested by responses such as increased disease prevalence following stress or cure following treatment with a placebo pill. Although we have reached significant comprehension of the effects of stress on immunity, we are limited in our understanding of the specific neuronal networks regulating the immune system and the modes through which this activity is transmitted to the immune system. Our goal is to understand how the brain regulates immunity and to harness the networks underlying this communication toward the design of new therapeutic strategies to centrally regulate immune responses. We focus our research on specific neuronal networks in the brain (e.g. the reward system) and on general changes in brain activity (e.g sleep) and analyze their effects on immune activity. We introduced a novel experimental paradigm for systematic study of the communication between specific neuronal networks in the brain and the immune system. We do so by merging two recent technological innovations in neuroscience and in immunology, namely, DREADDs, which enables cell-specific neuronal stimulation, and CyTOF mass-cytometry, to achieve high-resolution measurements of the immune system. The synergism of these two independent technological breakthroughs allows for establishment of causal relationships between defined neuronal network and the immune systems. Thus offering potential mechanistic connection between psychological and physical well-being.